The Super 7 Jackpot in December of 2003 had drawn its seven lucky numbers for the total prize money of $12.5 million. Unfortunately, there was a deep lottery scam story involved not in the lottery company itself, but in the claiming of the prize. The jackpot prize was claimed by Kathleen Chung and her brother. They were at a convenience store in Burlington, Ontario. This is yet another lottery scam story. When Kathleen went to claim her prize money at the Ontario Lottery and Gaming Corporation (OLG), the company had to pay her $ 12.5 million in the year 2004. 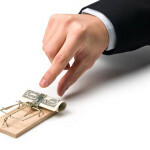 Yet there was an underlying suspicion that this was a fraudulent claim and a lottery scam. For this reason the Ontario Lottery and Gaming Corporation kept investigating the case. In the fall of 2010, the Ontario provincial police had charged the Chugs with fraud as well as for lottery scams. This charge was made against Kathleen and Kenneth Chung as well as their father Jun-Chul Chung. The search took place for 7 years and the real winners had to wait that long before they could collect their cheques again. The winners were seven men from Ontario who had jointly bought the lottery ticket and had hence equal claim to the jackpot cash. This lottery scam story, thankfully, has a happy ending. 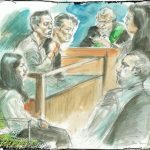 The Chung family is still fighting the fraud charges. These men who have won the prize were all coworkers and friends who all lay cable for a living. Each of these men has now in their possession a cash prize of over 2 million dollars. The total jackpot has amounted to $ 14.8 million, that is $ 12.5 million plus $2.3 million interest over seven years. 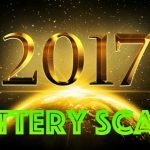 The lottery scams had disturbed them, but unlike most lottery scams stories, this was resolved eventually. One of the winners Daniel Campbell is happy and relieved to have received the cash prize and the other winners are as well. The money is a great relief financially for most of their families and will ensure a comfortable living for them all. This lottery scam story was similar to various reported incidents of the OLG insider winners. The action was taken by the OLG to combat these rumors. The OLG investigators had used the Data Analysis and Retrieval Technology system to track down the rightful winners. This lottery scam story was indeed troubling for the seven men. Justice finally prevailed. 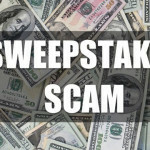 How to recognize sweepstakes scams?